Wow! 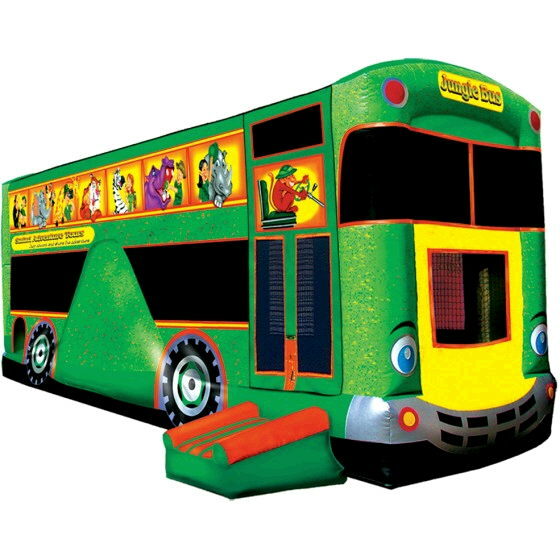 This Safari Adventure Jungle Bus is a bounce, climber and slide...all in one! It even has a basketball hoop outside. This unit measures 32'L x 12'W x 12'H. Weight limit of 150 pounds. The unit itself weights 340 pounds. * Please call us for any questions on our safari bus inflatable wet bounce rentals in Pipersville PA, Hatfield PA, and Bucks & Montgomery Counties in Pennsylvania.